The background of this SWOT analysis looks really great. Really easy to use this template. Download the template in Powerpoint for free and edit the different elements of the SWOT analysis. 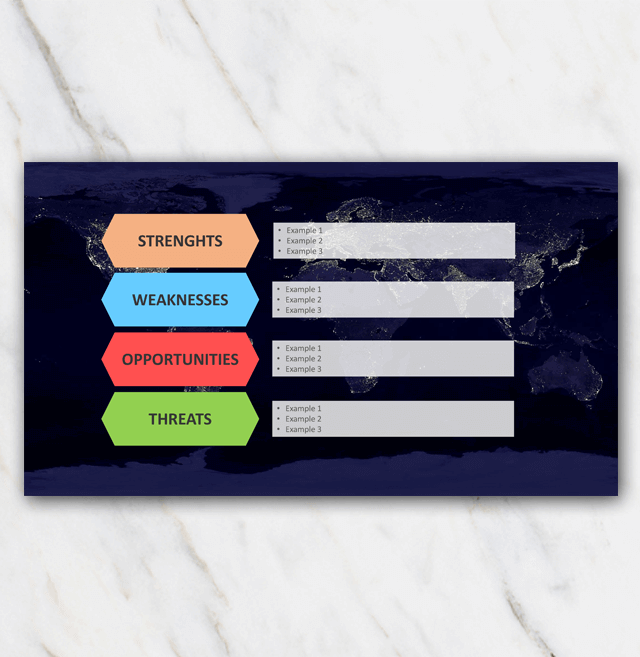 Looking for another SWOT analysis template? There are more on this overview page.